Boasting 163 luxurious hotel rooms and suites in the heart of Pigeon Forge, TN, Music Road Resort Hotel surrounds you in mountain charm and captivating views of the Little Pigeon River and the Great Smoky Mountains. All rooms feature elegant wood furnishings handmade by local artisans, and select rooms feature Jacuzzis and fireplaces. Hotel Smoking & Pet Policy: Music Road Resort takes guest comfort very seriously and offers a smoke-free and pet-free environment. 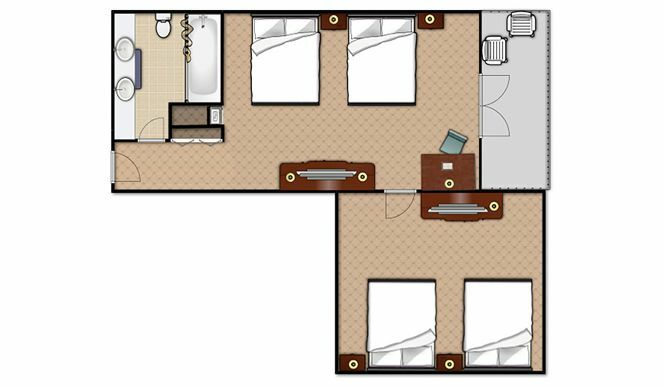 Music Road Resort Hotel offers rooms with roll in showers. 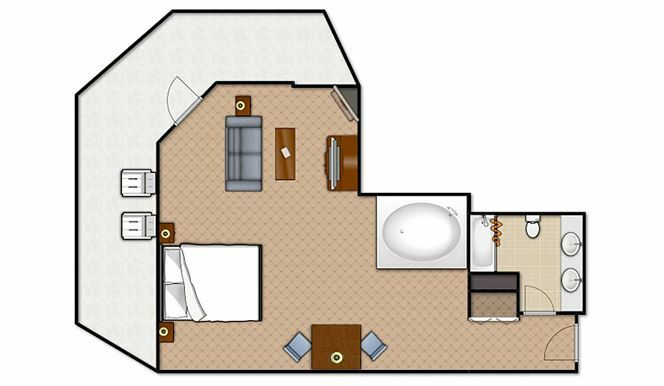 ​With 370-450 square feet of comfortable living space, this guest room includes two queen size beds, a large bath with double sink vanity, and a private balcony. 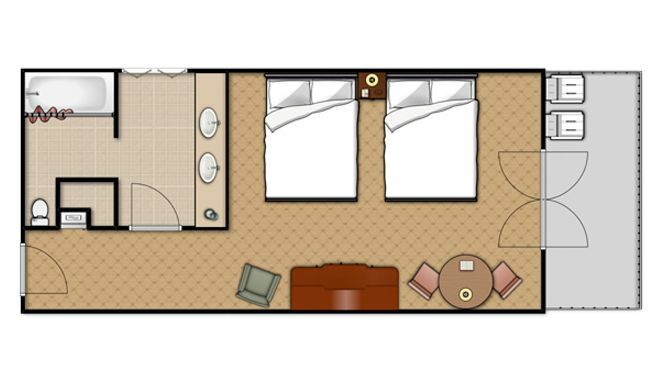 While making your reservation, you have the option of a standard room view, a room overlooking the Little Pigeon River with breathtaking views of the Great Smoky Mountains, or a room overlooking the Hotel’s Water Park. There is also the option for a sleeper sofa. 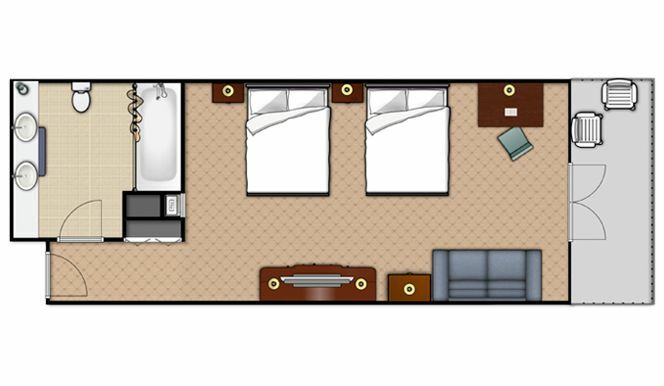 ​Our Superior Queen offers two queen beds or a cozy bedroom fireplace in 350 square feet of open living space. 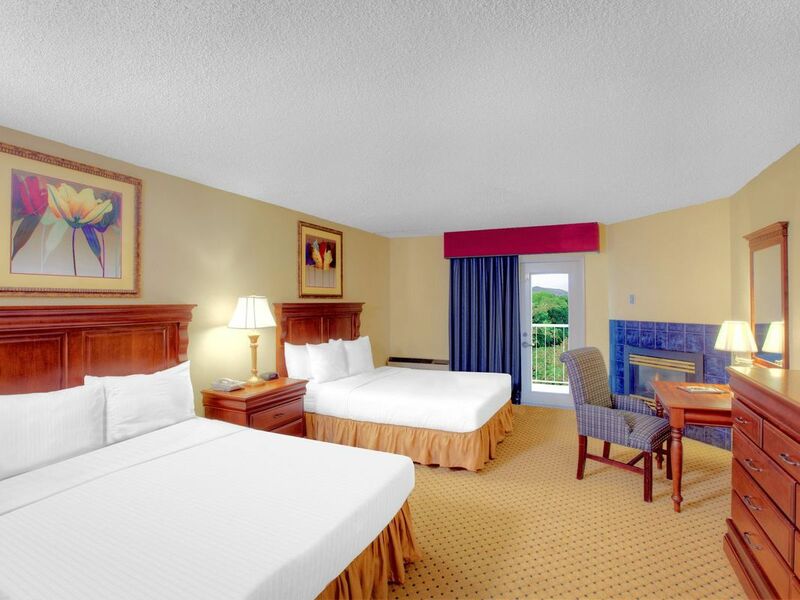 While making your reservation, you have the option of a standard room view or a room overlooking the Little Pigeon River with breathtaking views of the Great Smoky Mountains. 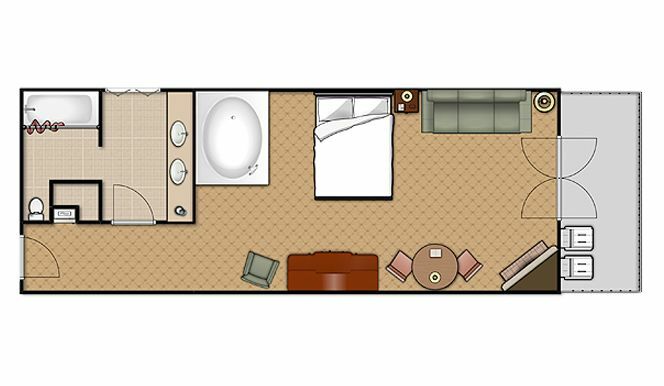 ​Our King Mini Suite offers one King bed in 350 square feet of open living space. 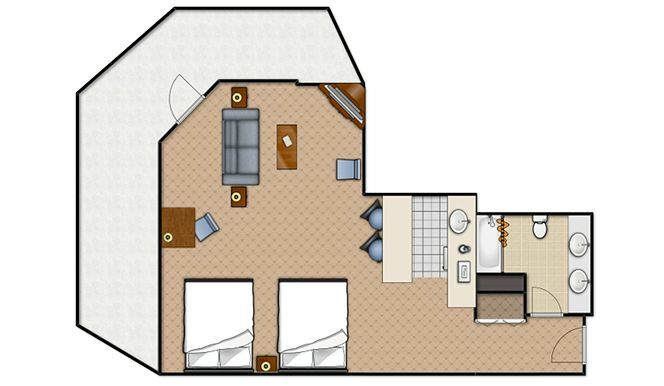 Enjoy inviting wood floors and a small seating area with loveseat which opens to accommodate an additional guest. 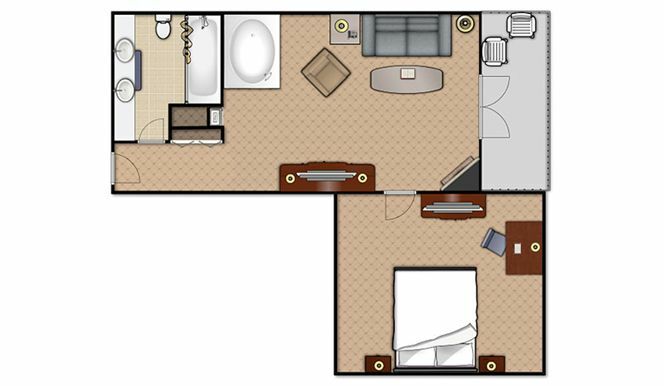 These rooms accommodate two people more than comfortably with a layout of 360-470 square feet. 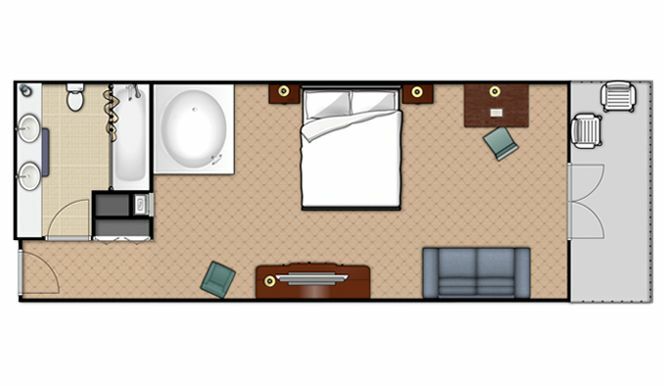 Enjoy a king size bed, double sink vanity, bedside Jacuzzi, and private balcony. 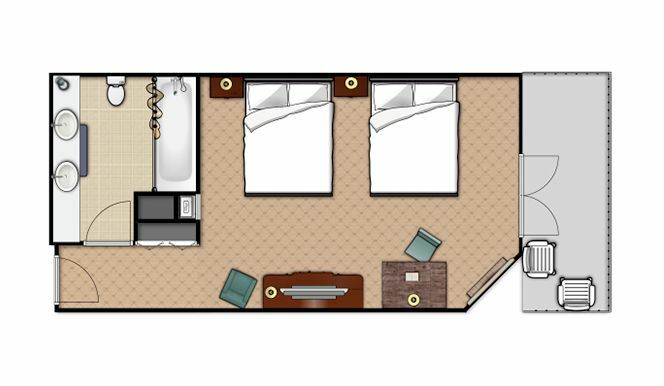 While making your reservation, you have the option of a room overlooking the Little Pigeon River with breathtaking views of the Great Smoky Mountains and a sleeper sofa. 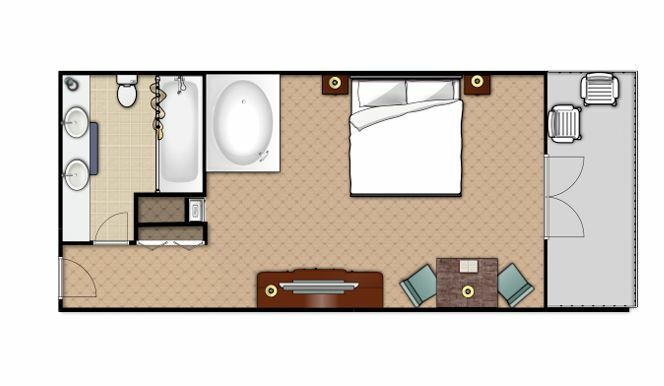 For comfort found nowhere else in Pigeon Forge, the Premier King offers a cozy fireplace or relax bedside Jacuzzi in an open 430-square-foot room.